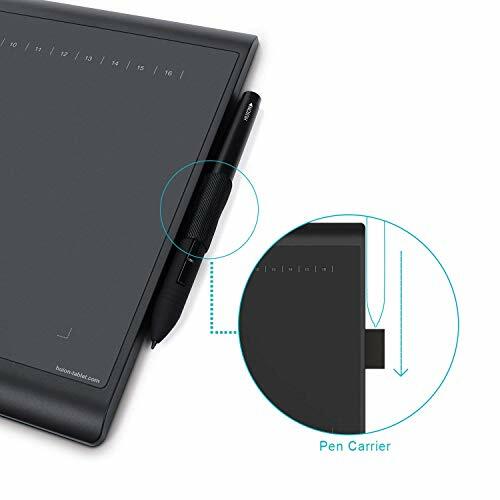 Allows you to use variety of line thickness by adding or deducting physical pressure on the pen. 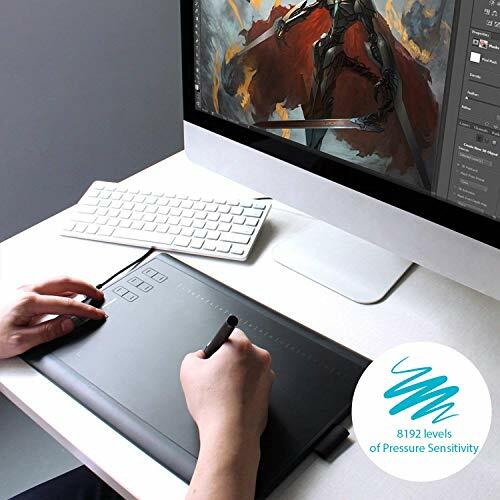 Large Active Area finally allows you to create lines and projects as big as you can imagine. 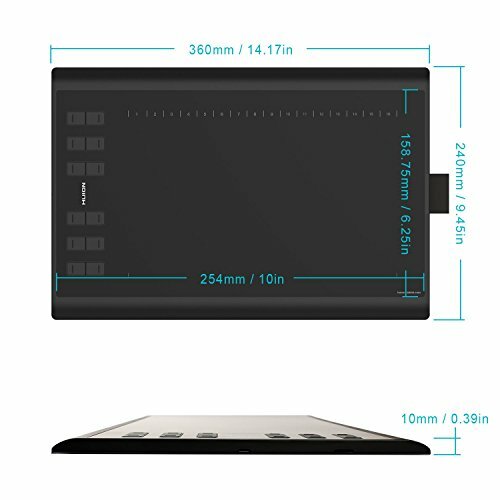 Micro USB brings more convenience with its slimmer body. 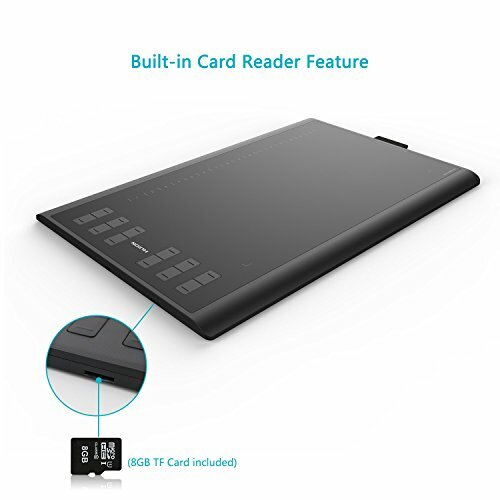 Comes with a 8GB MircoSD Card, which makes it more convenient to save and bring along your artwork. 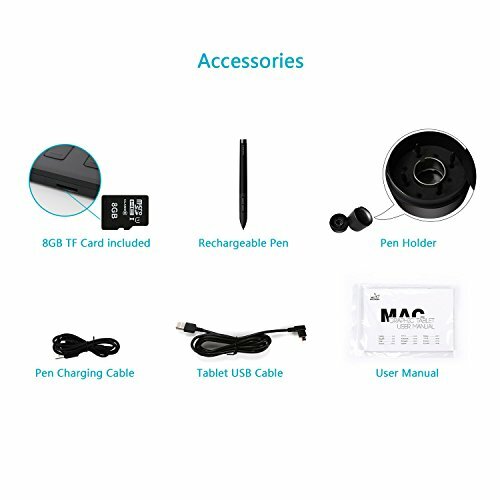 Can be extended to Maximum 64GB. 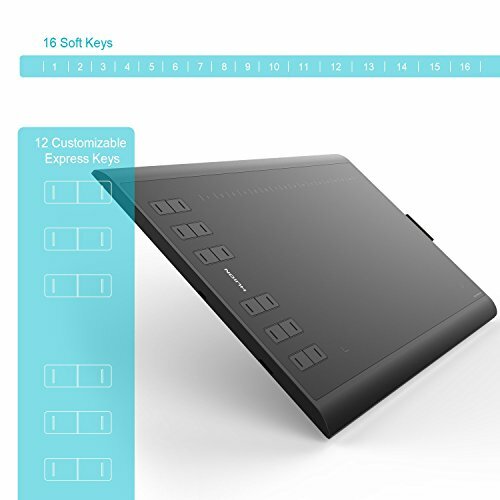 The 12 physical express-keys on the left and 16 soft keys on top of the drawing surface are all customizable, which provides you a plethora of ways to tailor your software experience and raise your work efficiency. 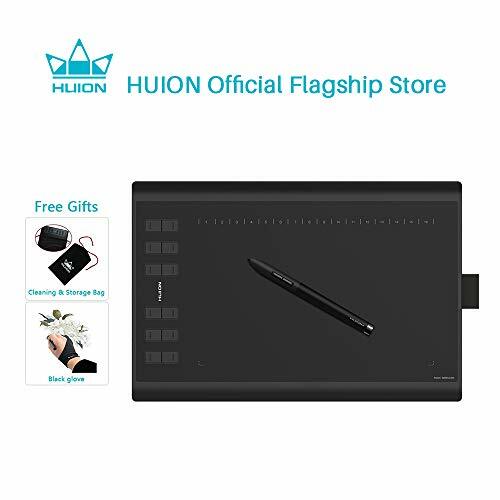 Huion art tablet is compatible with Windows 7 or later, MAC OS 10.11 or later and can work for the mainstream digital art software including Adobe Photoshop, Illustrator, Corel Painter, Manga Studio, Clip Studio, Zbrush, Krita, Gimp and more. 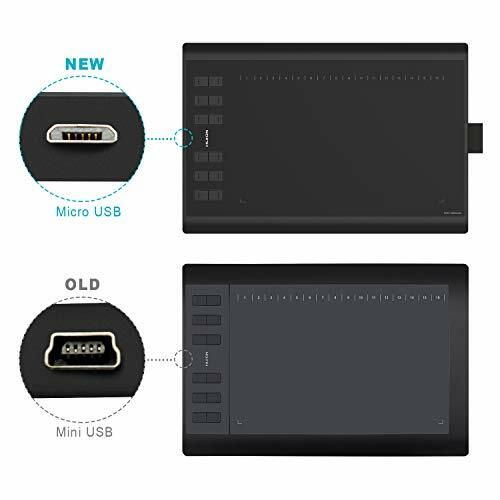 12 customizable express keys and 16 Soft Keys help you tailor your software experience and enhance your workflow efficiency.We are sorry to tell you that new 1060plus has no tilt support. But H1060P has new hardware to upgrade to get the tilt function.